The Brooks Robb & Callahan’s Electricians Insurance packages are available not only for self employed professionals, but also for small companies and large businesses. Our office is conveniently located in Oyster Bay, NY and has been providing comprehensive and excellently priced Electricians Insurance rates for 45 years. Not only do we handle writing policies for large corporations, but Brooks Robb & Callahan also provides coverage for smaller businesses and self employed professional. Thousands of electricians and electrical contractors have already purchased our policies to protect themselves against a wide range of risks. Brooks Robb & Callahan also offers special coverage needs and different types of insurance to our clients. By getting Electricians Insurance, you’ll be able to easily make your business a lot more reputable and recognized and of course, more profitable. When prospective customers become aware of the fact that you’re insured, the chances of them doing business with you skyrocket. After all, electrical work is very unpredictable and can be quite risky. Since every business has its own specific needs, we can help you create a custom policy that fully meets your needs and offers you the type of coverage you’re looking for. 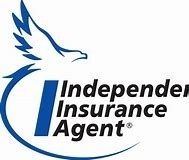 If this is the first time you buy insurance and need some extra help and advice, our professionals will be more than happy to assist you from start to finish.